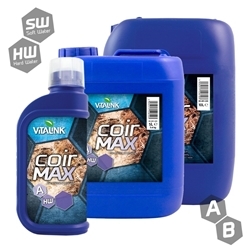 Vitalink Silicon MAX is a highly-concentrated and easily soluble silicon additive. Silicon is designed to be used throughout all stages of plant life as a part of your normal feeding regime. Silicon MAX contains potassium silicate, the best form of silicon for plant uptake. Silicon is highly beneficial to plant health, strengthening cell walls to produce stronger and bigger plants, thicker roots and an increased resistance to diseases and stress. It boosts CO2 absorption, chlorophyll production and photosynthesis, resulting in bigger yields and heavier fruits. Silicon MAX is a highly-concentrated silicon additive which is strongly alkaline. You should add it to the water first, mix, then add your nutrients. 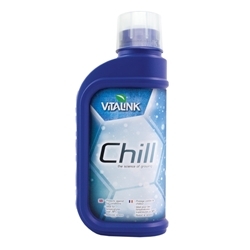 Adjust the pH using VitaLink Essentials pH Down before adding your base nutrients and additives, as Silicon MAX raises the pH. Recommended pH range 5.8-6.5. 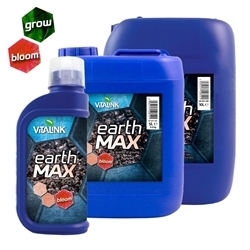 Use 1ml/L alongside your main nutrients When topping up nutrient solution dilute Silicon MAX well in water before adding it to existing solution. Shake well before use. Available in 250ml 1L and 5L bottles. Silicon is used by plants for many things including: the creation of strong cell walls; the production of chlorophyll; and the transportation of minerals.